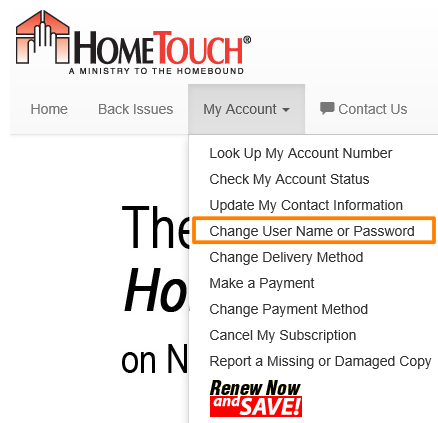 After you have logged into your account, you may change your username or password at any time. Then click Change Username and Password link to update your login information. Then you can make any changes you wish to your Username and/or Password by deleting and entering a new username or entering and confirming a new password. Click Save to confirm any changes or Cancel if you change your mind. What is the Username criteria? Username must contain at least one letter and only contain letters, numbers, underscore, or dash. We also do not allow multiple usernames, so if the username is already taken, try adding numbers or characters to make yours unique. We recommend using a strong password that contains letters, numbers and symbols. 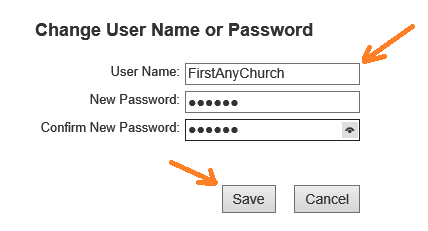 Passwords should not be shared to the entire church congregation nor with any other church.